The radial drilling machines. 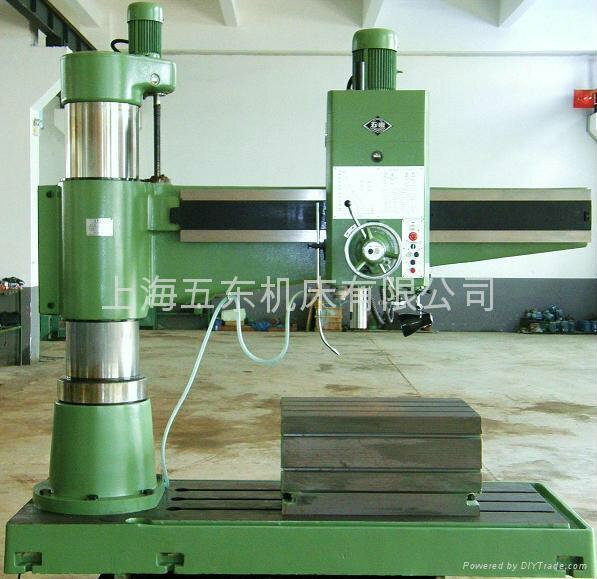 Model Z3050x18/Z3050*16, is a universal machine, capable of drilling, counter-boring, boring, reaming, spot facing, tapping and other similar operations. It is widely used in machine manufacturing industry for processing small and medium sized machine parts and also suitable for being used in repair shops. This machine adopts strengthen type of spindle so that it increases rigidity of spindle, widens working range and keep it's accuracy stable.